Homespun Devotions: Enter To Win A Copy of Tim Tebow's NEW Book!! I will give my two-cents' worth and opinions of his book, after reading it. an autographed, advance-release copy of his new book! You can enter the contest to win by clicking here. The whole world watched, as he unashamedly proclaimed his worship of the One Who deserves all of our praise and devotion. I also remember how he used to paint Scripture verses on his eye black. generating over 90 million searches." it generated 3.43 million searches! That is pretty neat, if you ask me. decided against aborting him when a doctor recommended they end the pregnancy. I first saw the story in this ad. To see the whole story, watch the following video. I look forward to reading Tim's book and commenting on it afterwards. and that you are able to take a few moments to watch his video below. We need more people who are willing to speak loudly and boldly about their faith in God. Thanks for sharing the link to the giveaway. I entered! Tebow has an inspiration story. That's great, Bethany! He surely does have an inspirational testimony. I got his book in the mail today, so am looking forward to reading it and posting a review here, Lord willing! I'm sorry to be ignorant about this, Cheryl. What does "I also remember how he used to paint Scripture verses on his eye black." What is an eye black? I know that baseball players paint black under their eyes to reduce glare. But how do you write Scripture on that? You are exactly right...an eye black is what they paint under their eyes to reduce glare. Football players do it, too, and the way he wrote Scripture on it, is he would use white to write out the chapter and verse. I just tested this, and if you google "Tim Tebow Scripture verses" and click on images, you can see many images of his face with the eye black and Scripture passages on them. Here is one link I found...just copy and paste this into your browser...http://blackchristiannews.com/news/EPHESIANS-TIM-TEBOW-BIBLE-EYE-BLACK.jpg I hope this helps!! Thanks for your visit, Victor! Brilliant. Thank you very much for your help. It's great when famous people and celebrities stand-up for their Christian beliefs. In the UK they are usually laughed at. A politician who says he is a Christian would find it a great disadvantage to his career over here. Oh, it is a sad state that our world is in, my friend. We are very close to what you described right here in America. It breaks my heart. What a testimony! I did not know that Tim Tebow had missionary parents, what a legacy that they have been able to leave with the world through their son and his desire to stand up and not be ashamed of the gospel! You always share the most inspiring stories and I am always so blessed to visit here, and to be encouraged about what the Lord is doing! Many hugs to you today dear friend! So thankful for your sweet visits here, dear friend. God bless you abundantly for your support and kind words! I remember all of this so well- it really stood out in my mind how brave he was. He truly was the only bible some people ever read. Have a blessed weekend! You are SO right...I am so grateful for Tim's stand for God. May he never change! 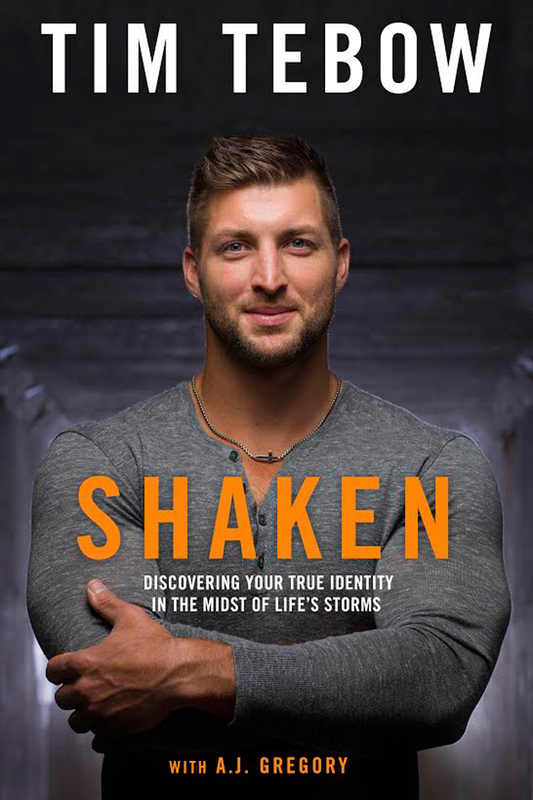 Thank you for sharing this about Tim Tebow, here at tell me a Story. Yes He is an inspiration and the Real Deal. May God bless him and his new book. I did not know about the eye black and the scriptures. That was so wonderful that many would hit the site to view the scriptures. Yes, it is truly wonderful and admirable how unashamed he is to share his faith in God. Such a positive, unashamed role model for our youth. May God always keep him on the right path and free from scandal, is my prayer. This sounds like such an inspiring read. Thanks for the opportunity! Thank you for sharing the link to the giveaway! Just entered! That is wonderful! I am so happy to hear you entered. God bless you!